The mirror reveals many things. Sometimes, you like what you see (your favorite shirt, a good hair day). Other times, you don’t (broccoli trapped in your teeth, is that a zit?). But one thing is certain: The mirror can’t tell you a dang thing about what you can’t see —which is exactly what happens when it comes to the muscles in your back. If we did see them, my guess is that we’d all have stronger, more developed backs. Instead, many of us spend the bulk of our gym time working on our chests, arms, and abs. The back – home to some of your body’s most important muscles – gets the short end of the workout stick. This needs to stop. Your chest and other show-me muscles are great, but if you want to be strong, balanced, and injury-free, you need to do a better job of training the other half of your upper body. Your lats, traps and erectors are hugely important muscles from where we draw a lot of our strength and power (and good posture, too). And the infamous rotator cuff, also a back muscle, is the cause of many shoulder aches and pains. Strengthen it as part of complete routine, and you’ll not only stay healthier, you’ll also see better results when you work on those flashy muscles on your front side. As you upgrade your forgotten muscles, use these tips to avoid the most common mistakes. And then use the my specially tailored back program to make sure that your training routine is never half full. Your back muscles need as many sets as your chest muscles -- and oftentimes more. 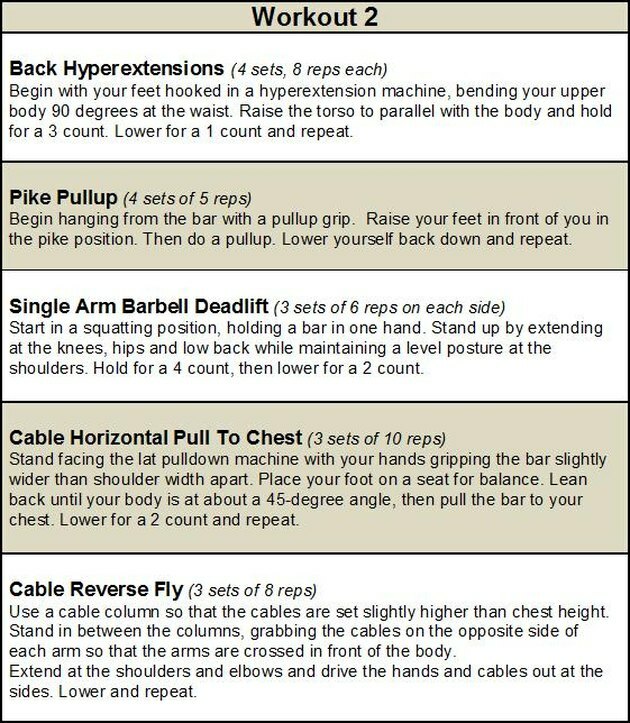 For every set of a pressing exercise you do, you should also be doing a set of a pulling exercise. If you’re the type of lifter who does 15 sets of incline, decline and regular bench, you’ll need to do an equal amount of work on your back. Otherwise, you’ll wind up asymmetrical, with a muscular front and wimpy backside. News flash: If you want to bench a Volvo, you need a stronger back to help support the weight. 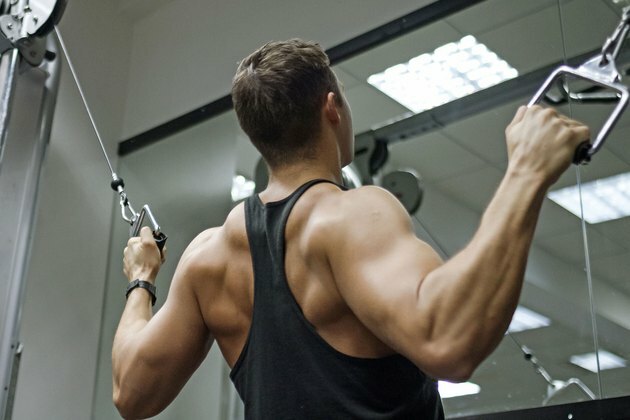 Doing all of your sets on the lat-pulldown machine isn’t going to produce the results you want. Sure, it’ll work your back muscles, but only from one angle. Your goal should be to work many angles, which creates balance around the shoulder joint. 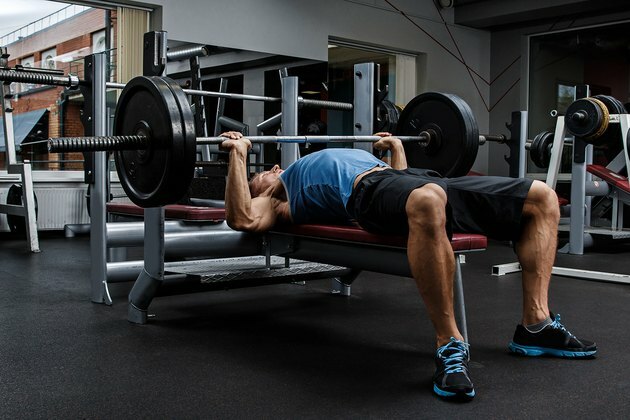 For example, if you’re going to bench press, make sure to do horizontal pulls like rows in your training, too. 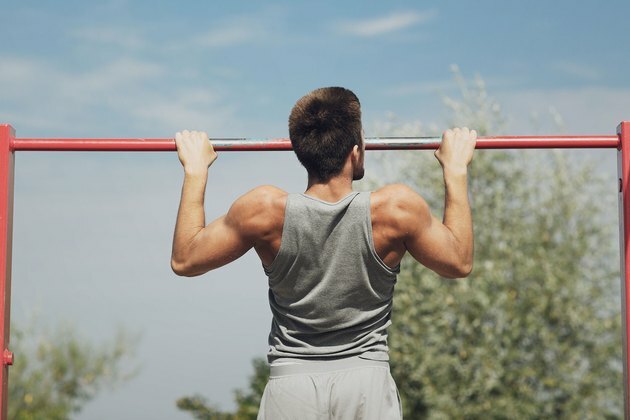 The chin-up is one of the best exercises for packing muscle onto your entire upper body. But it’s also one of the toughest exercises out there. If you can’t do a chin-up, don’t get infuriated. Get interested. And try a new approach. Start with 10-second hangs, where you just try to hold and support your weight. Then progress to negative reps, where you slowly lower yourself from the up position. Eventually, you can use assistive devices like bands or a partner to help you up. With a little hard work, you’ll be dominating chin-ups in no time. 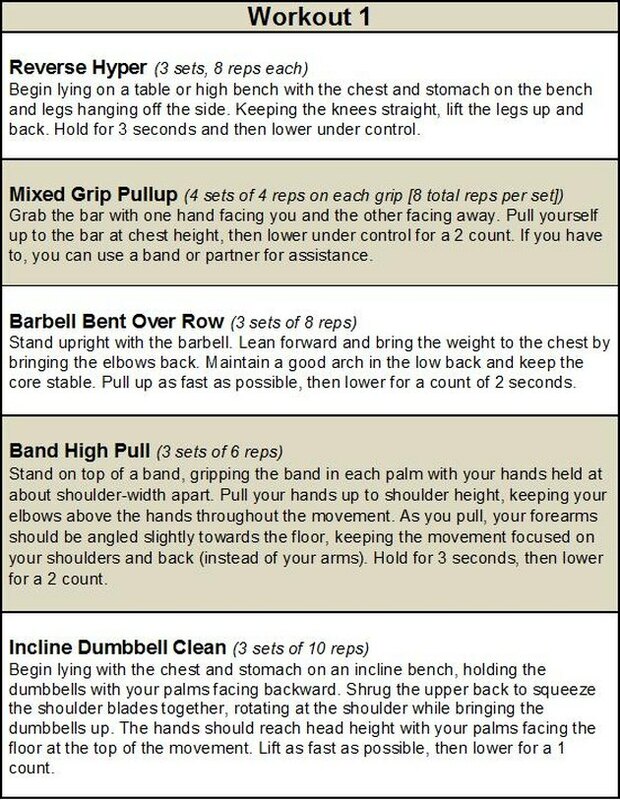 Try this program for four weeks. You’ll want to aim for two back-specific training sessions per week during that time. The workouts I’ve designed have an appropriate balance of sets to develop all of the muscles in your back. The moves, which work them from four different angles, stimulate both muscle fiber growth and “functional” muscle gains. The result? You’ll be stronger and look better.